Happy St. Patrick's Day residents at the Villages of Banyan Grove! Start your St. Patrick's Day off the right way by grabbing some quick eats and refreshments with your friends and neighbors! 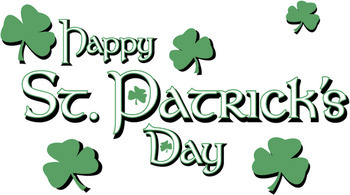 We want to celebrate the luck o' the Irish with our friends here because we are so lucky to have you. We hope to see you there!